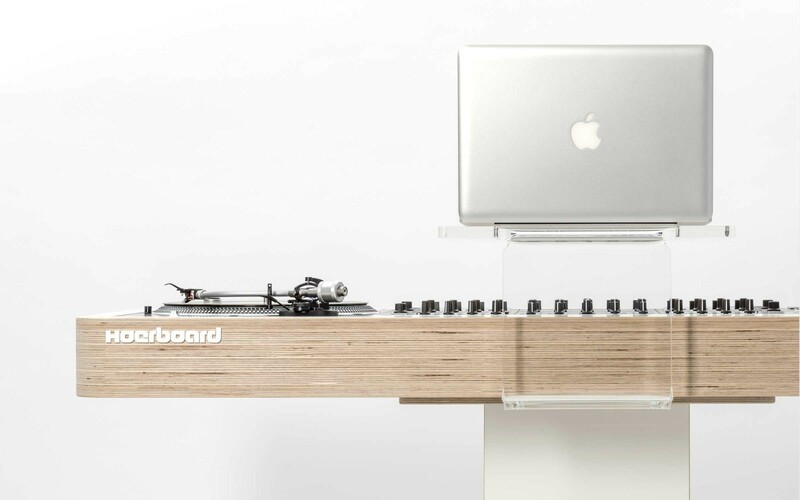 The Hoerboard Stereo.T has been designed to move with you wherever you and your music are needed: When disassembled, it will fit in your station wagon easily. Dismantling and putting it back up isn’t much of a bother either, as it only takes ten minutes of your precious time. 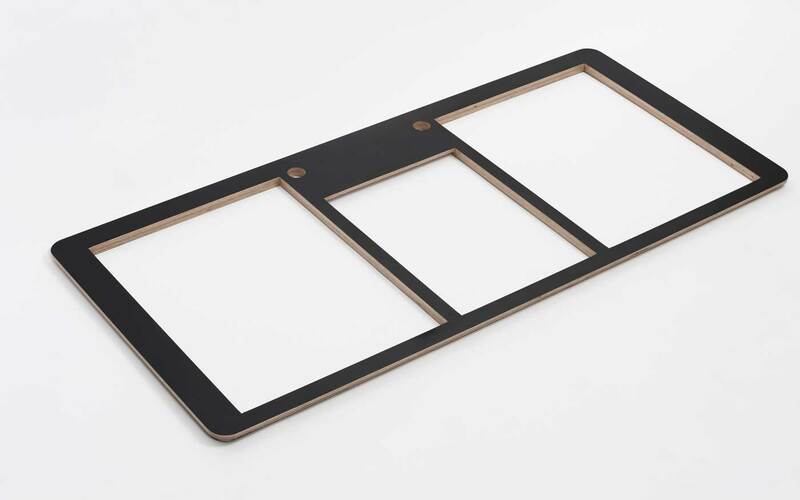 It is the first Hoerboard that comes as a construction kit for easy assembly. 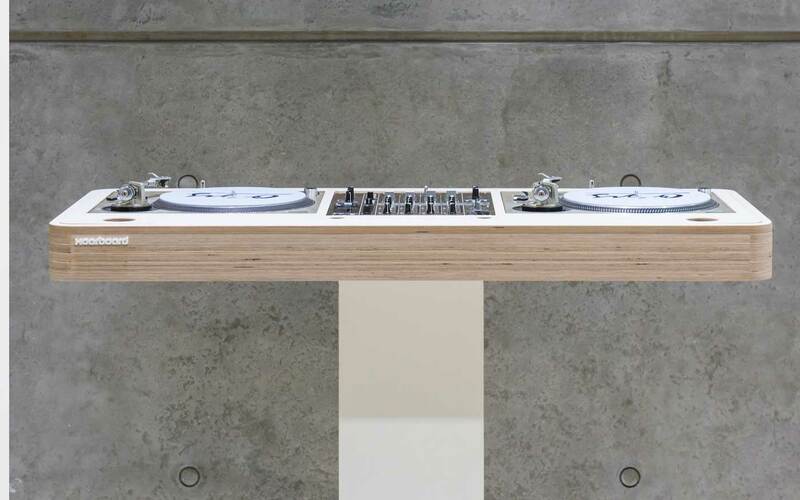 It is available for turntables in battle or classic mode, DJ controllers and CDJ set ups. 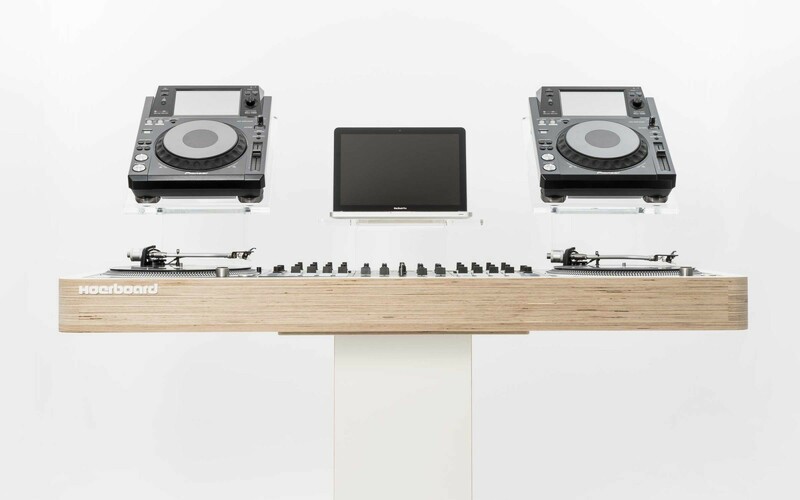 Additional laptop and monitor speaker mounts can also be integrated. 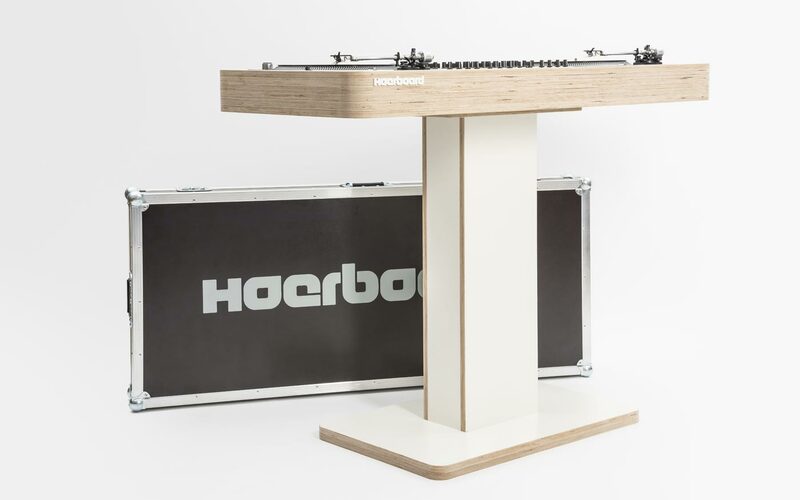 The building kit of our Hoerboard family is manufactured from an exclusive multiplex material with a stain-resistant laminated surface that comes in black or white matte. 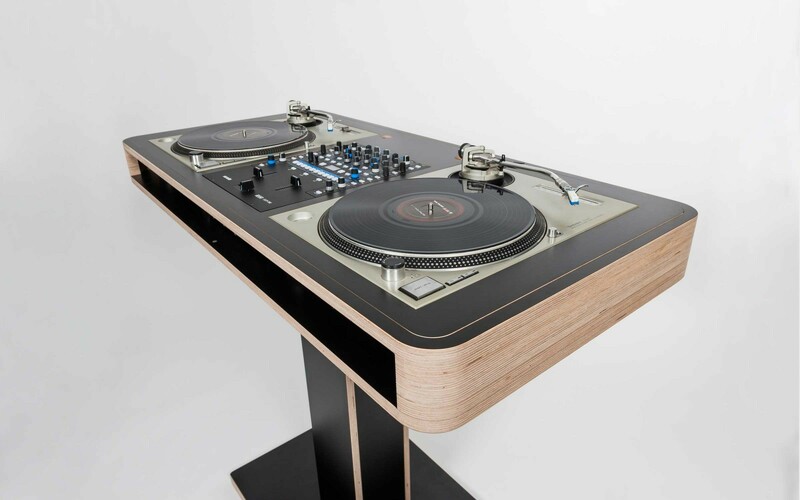 Make you stand out and configure your DJ table individual. Choose your favorite color. 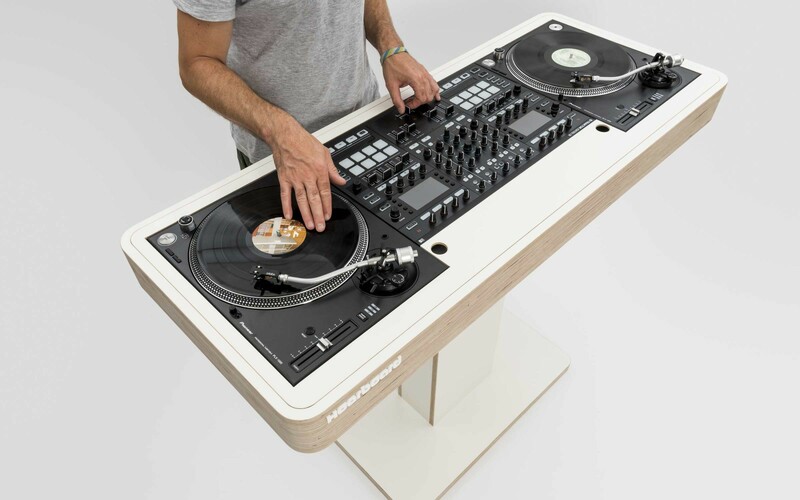 House your turntables in battle or classic mode into your Hoerboard deck. 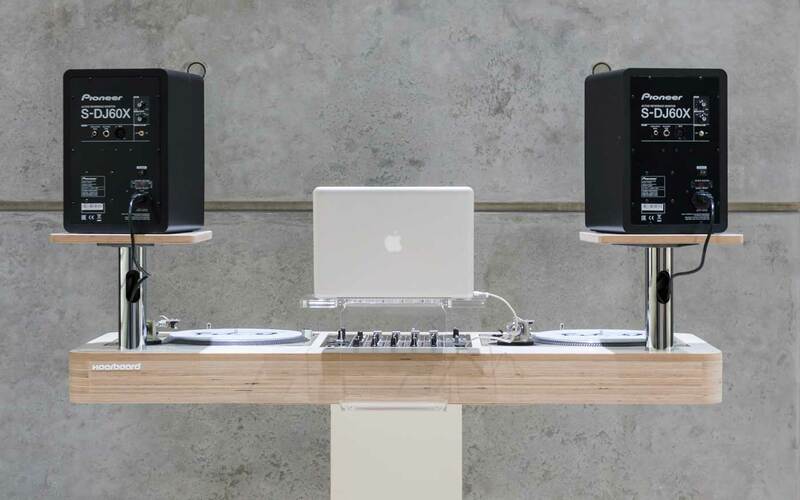 CDJs are welcome too. 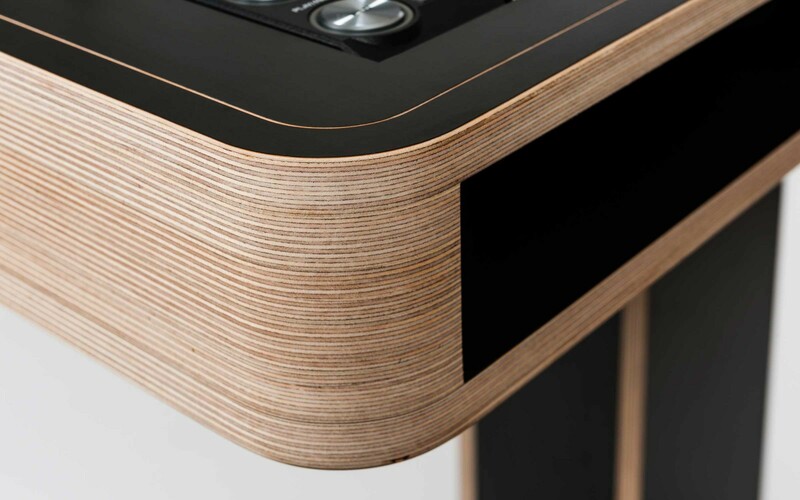 Make sure you can stand upright behind your workstation! 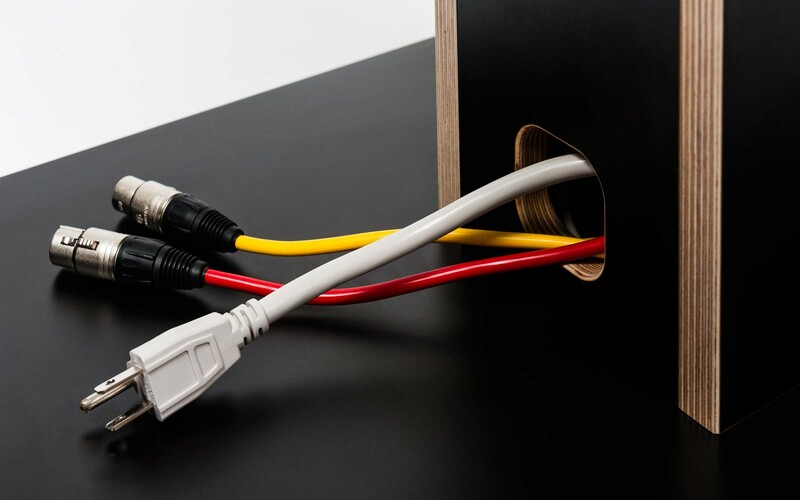 For the Stereo.T please use your own audio cables and power strip. Feel free to add stands and other useful accessories you might need. 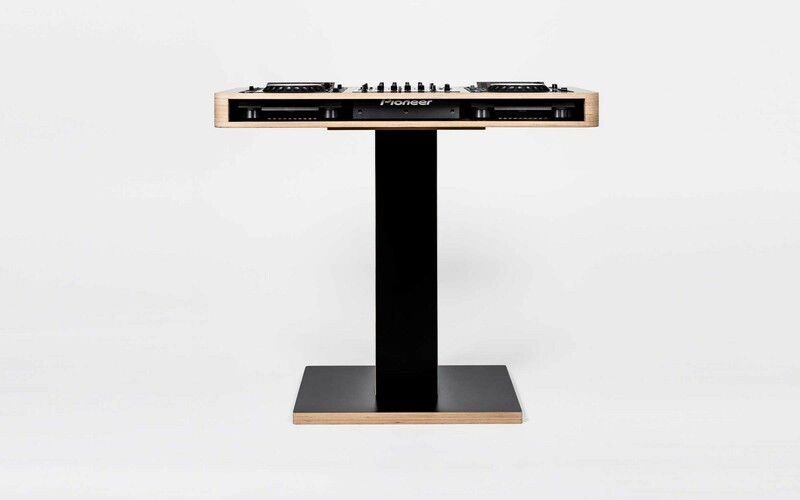 There is also a road case for your assembly kit available. 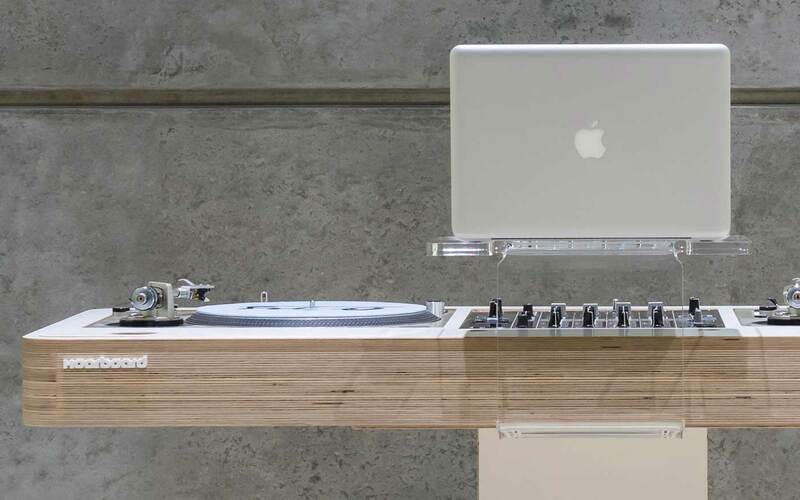 Protect your DJ stand! 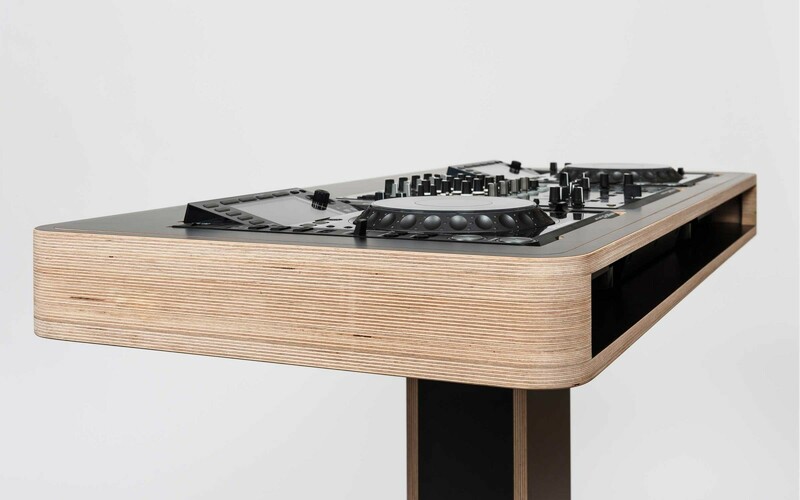 The Stereo.T can be transported in our Flight Case for your exiting road trip. 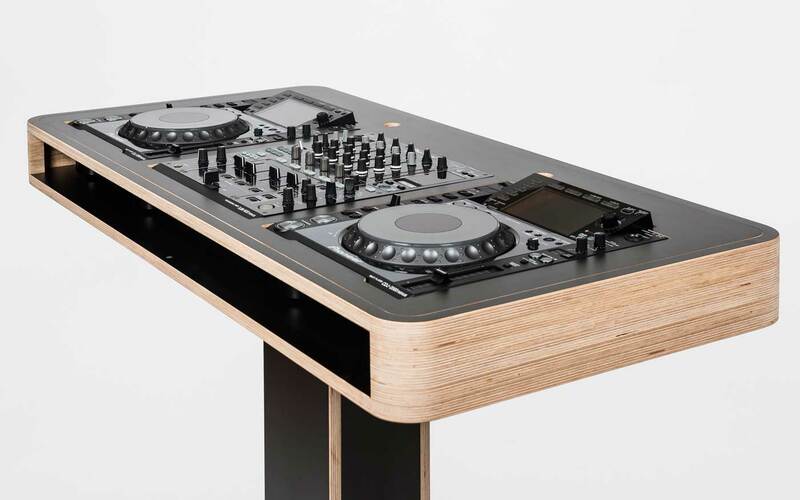 Our Hoerboards are custom-built workstations for your DJ devices. Should you change your devices, just order new fitted insert for your new babies.